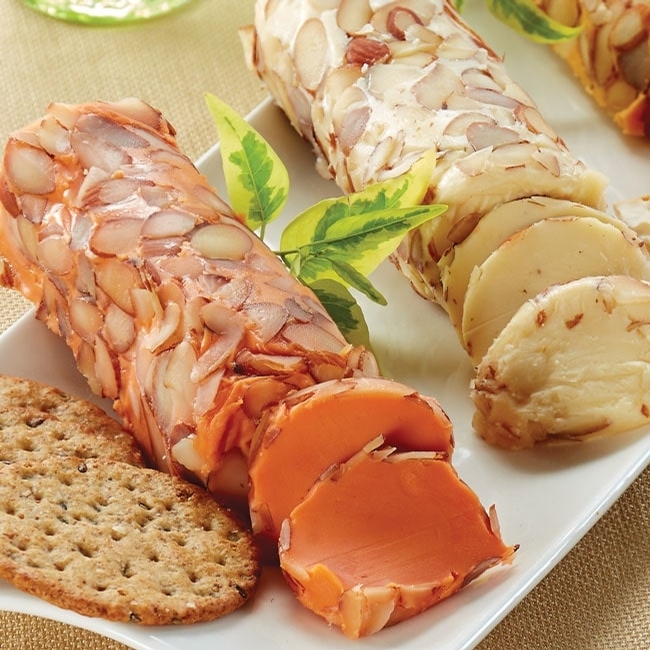 The best cheese logs we've ever tasted are sure to be a holiday favorite. Made from aged Wisconsin cheeses and covered with sliced almonds, they are ready to spread on crackers or bread or served with pretzels. Our selection includes two 9 oz logs: Port Wine Cheddar and Swiss Almond.